Card with cute cartoon whale in patchwork style. Abstract stripes paper cut pink Background and texture for valentines day. Hand drawn colorful curl Mandala isolated on white background. Cute cartoon whale in clouds isolated on white background. 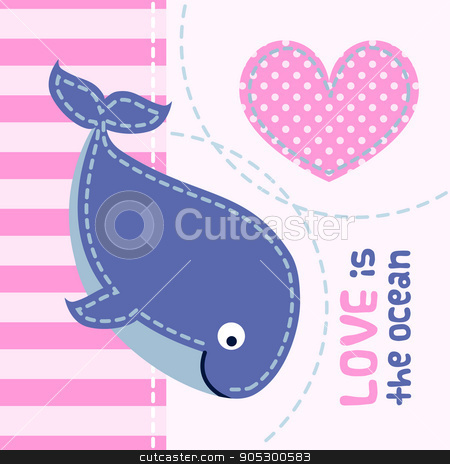 Vector of Card with cute cartoon whale in patchwork style. Card with cute cartoon whale in patchwork style. Art vector illustration.